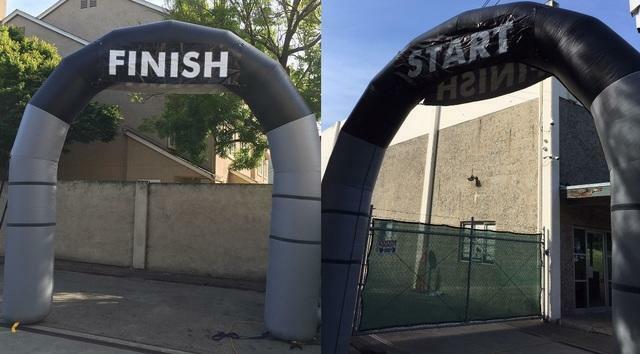 This Start and Finish Arch is great for Starting and Finishing Running or Bike Race's. Small Enough to fit in most streets but not recommended for Auto's. If this unit is to be set up on anything other than grass or dirt and we can't stake unit, then 4 water barrels will need to be added for support of arch.